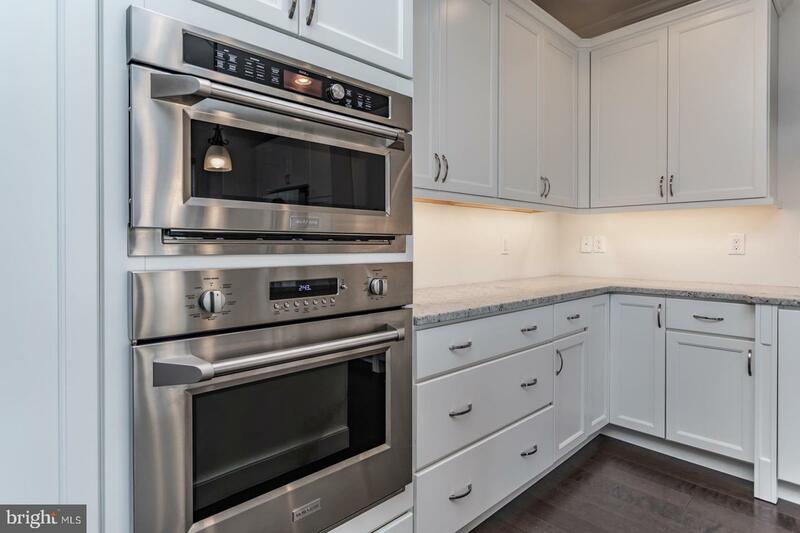 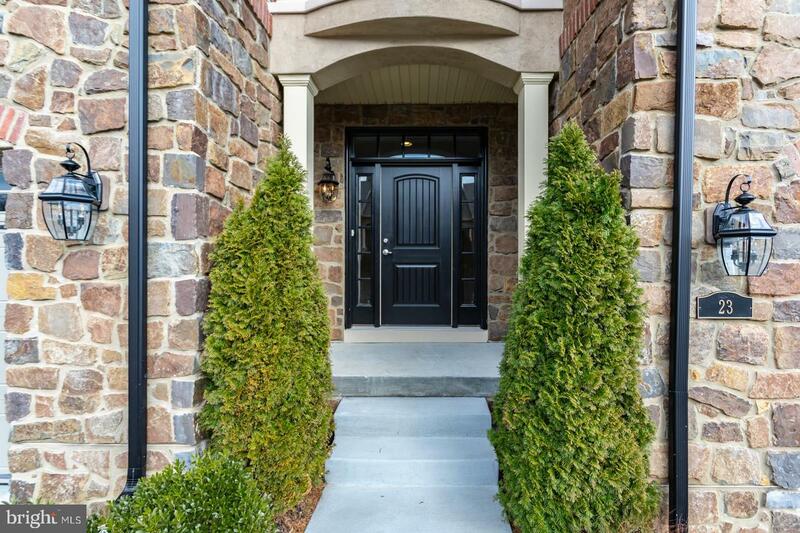 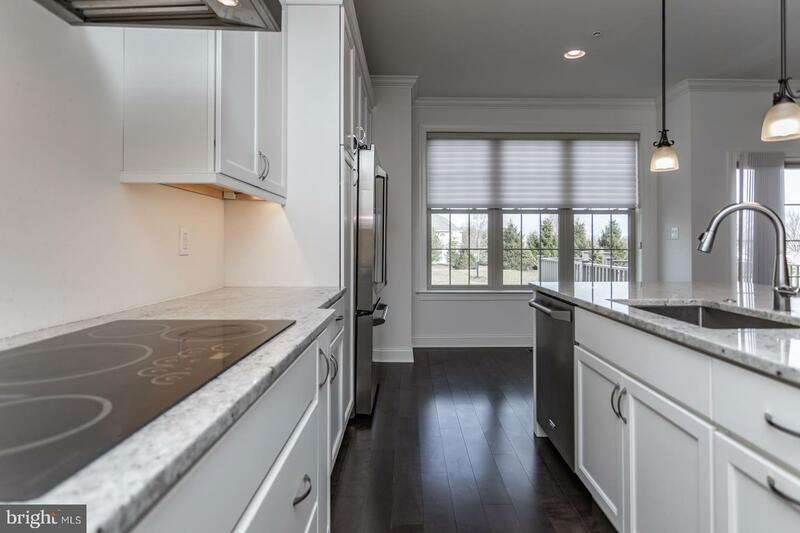 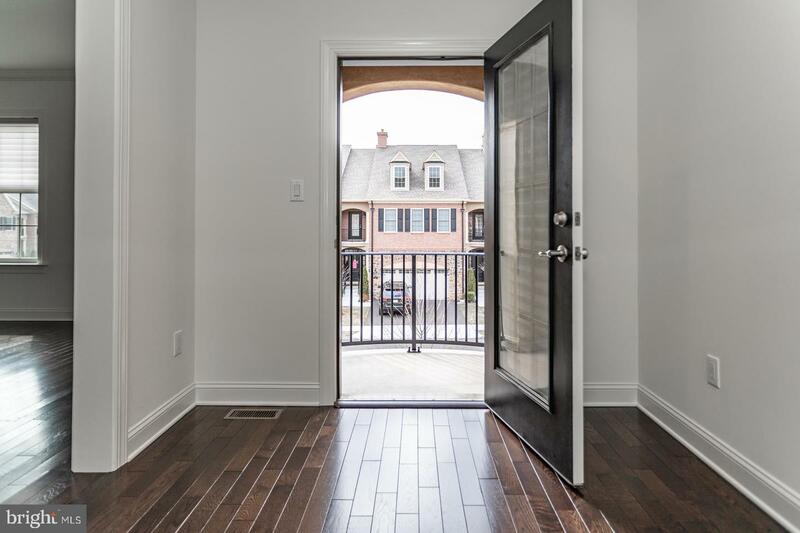 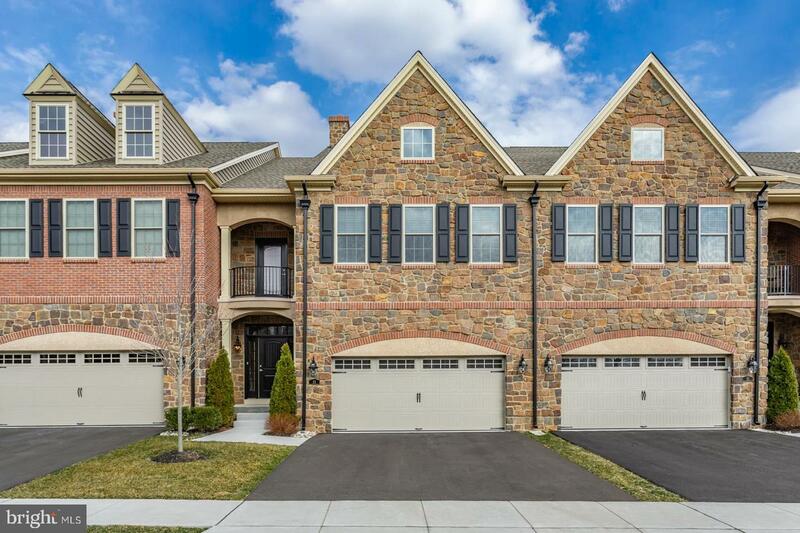 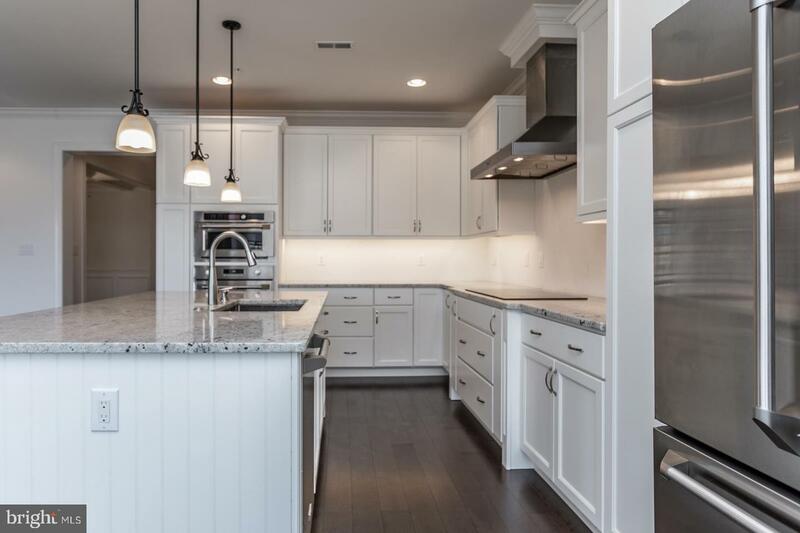 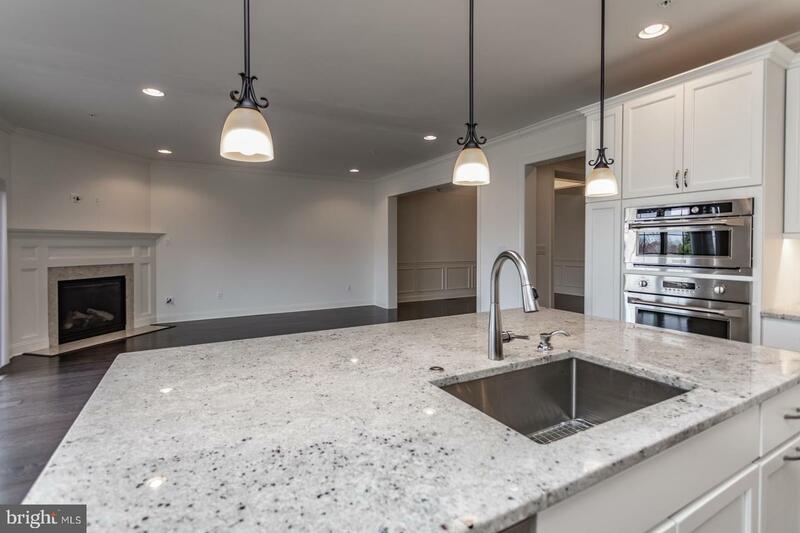 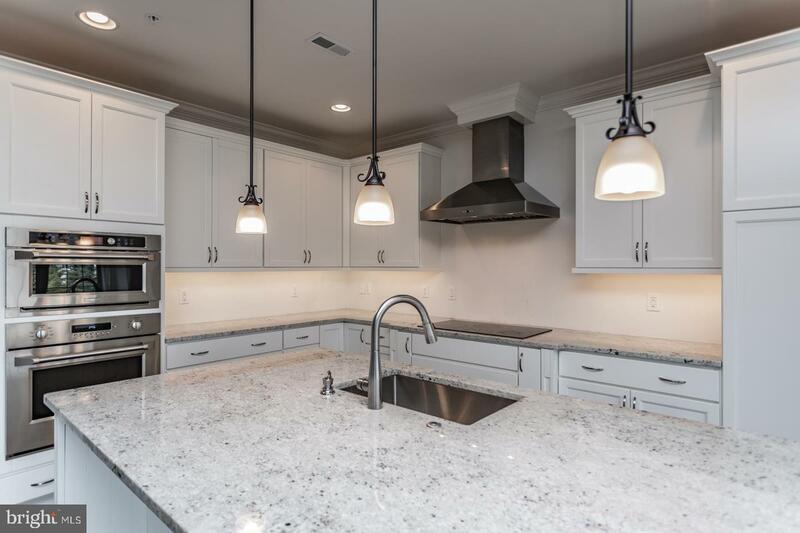 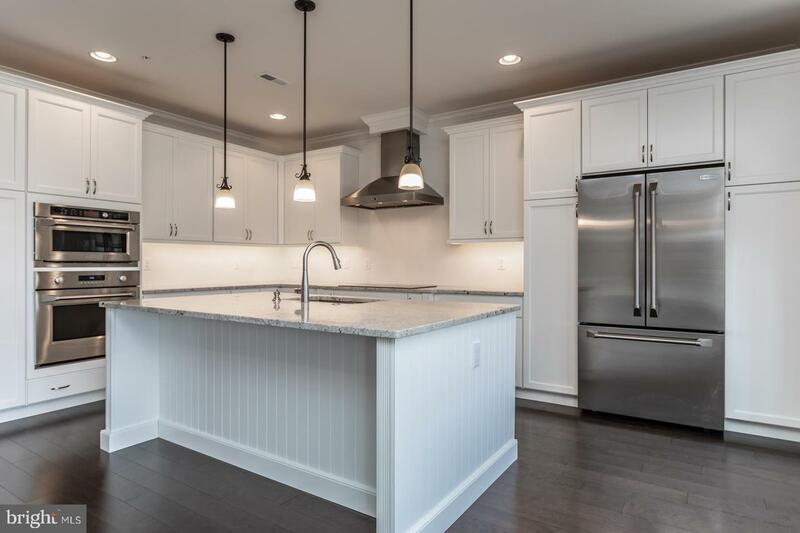 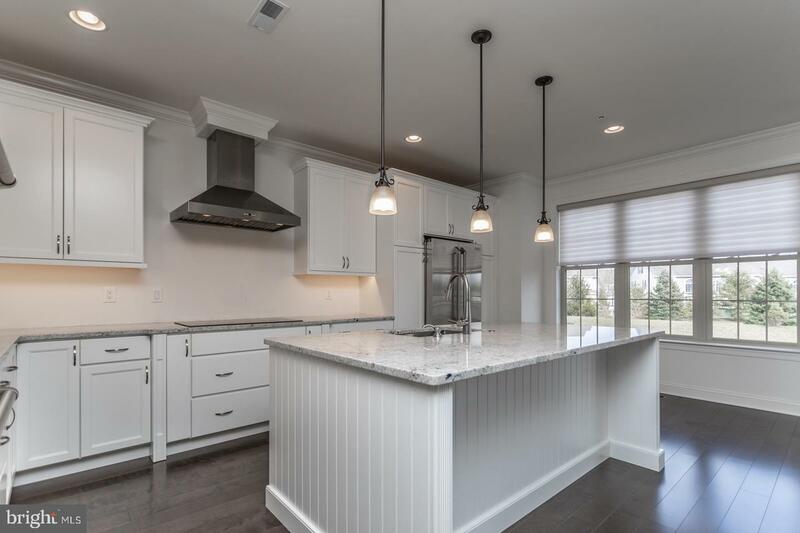 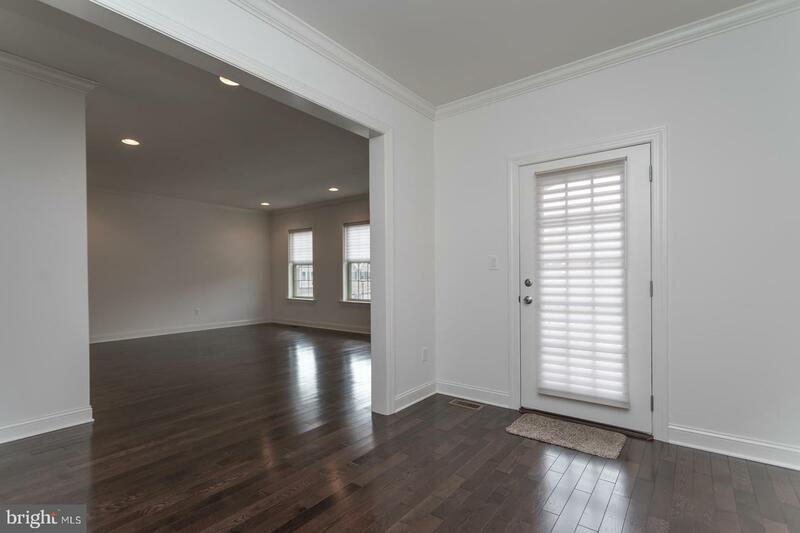 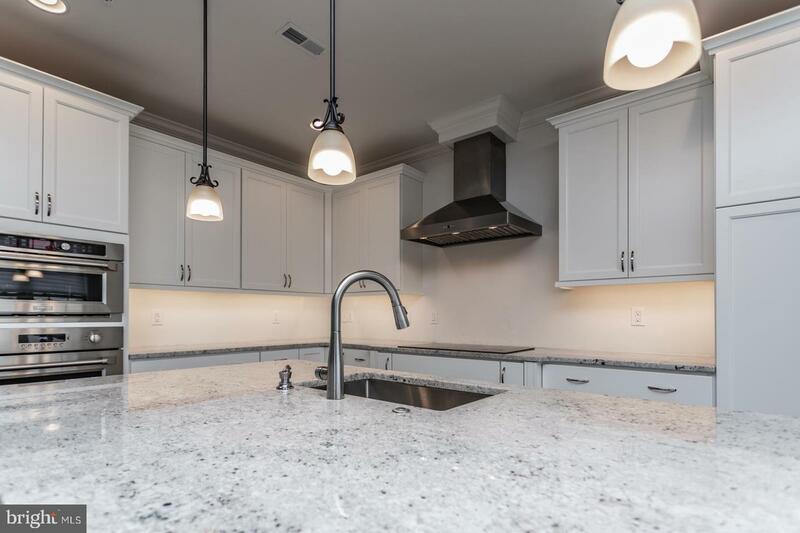 This modern and spacious 4 bed and 4.5 bath Newtown townhome is conveniently located within walking distance to the Boro. 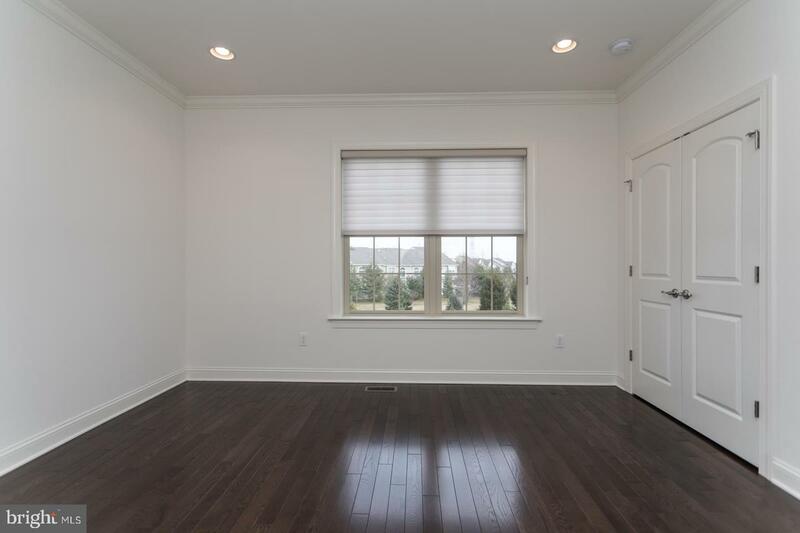 Only 1.5 years old, one will find this home is in impeccable condition! 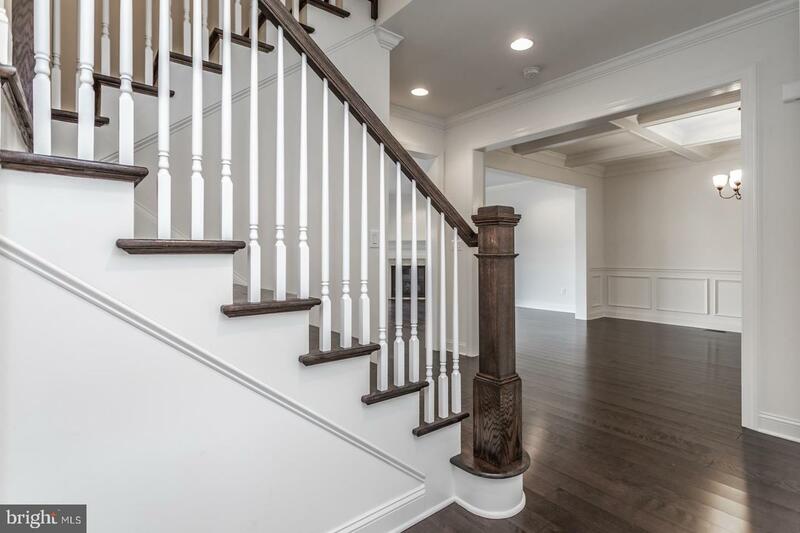 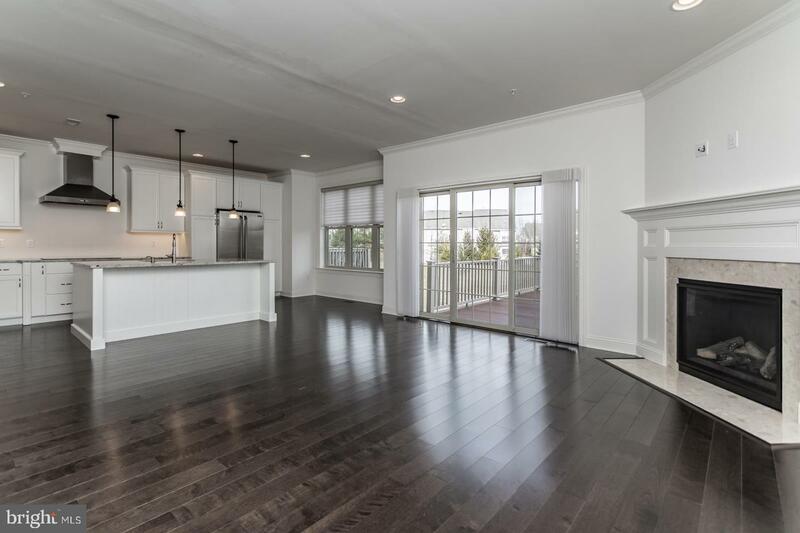 Just through the front door is a wide foyer with sleek, beautiful espresso colored broad plank hardwood floors, which continue throughout the entire main and second levels. 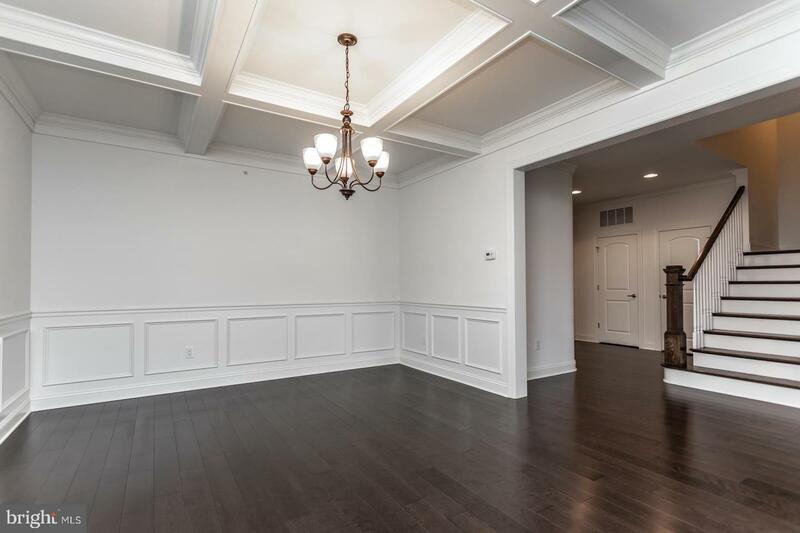 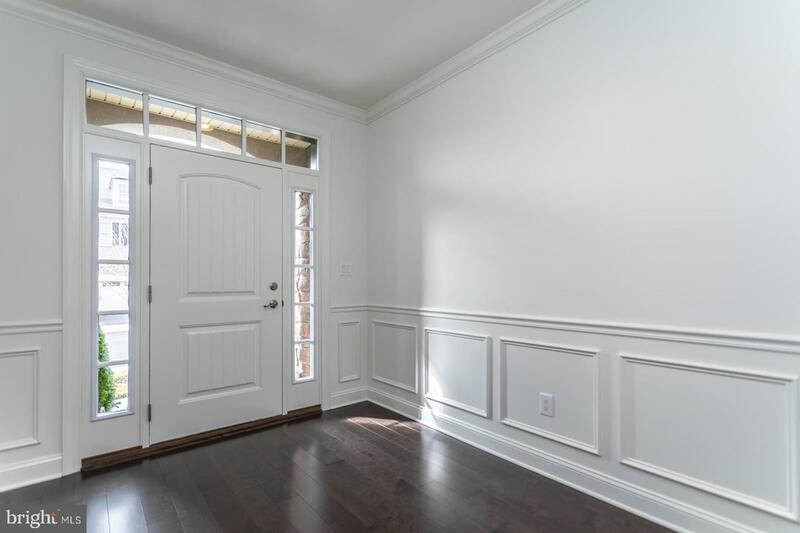 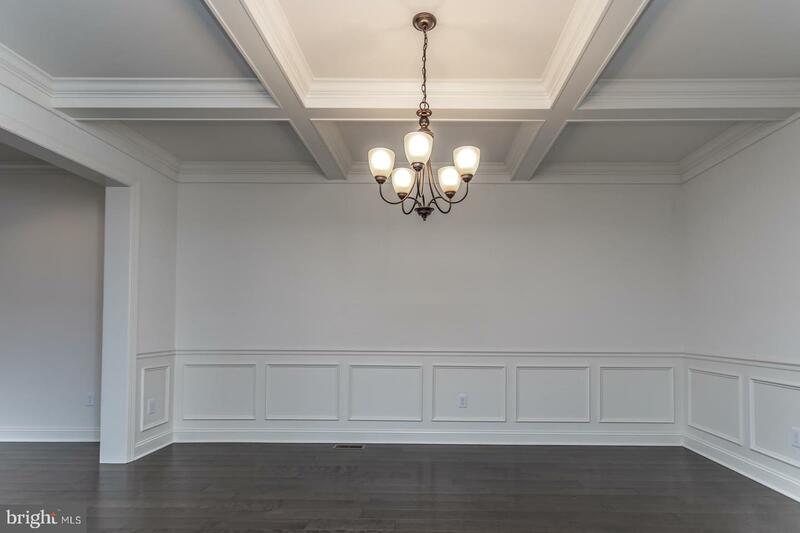 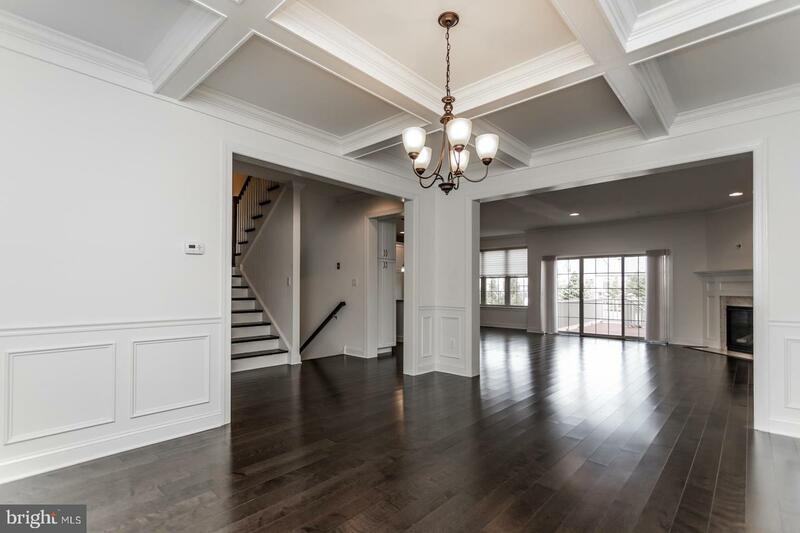 The foyer opens into a Dining Room highlighting crown molding, a custom coffered ceiling, and wainscoting. 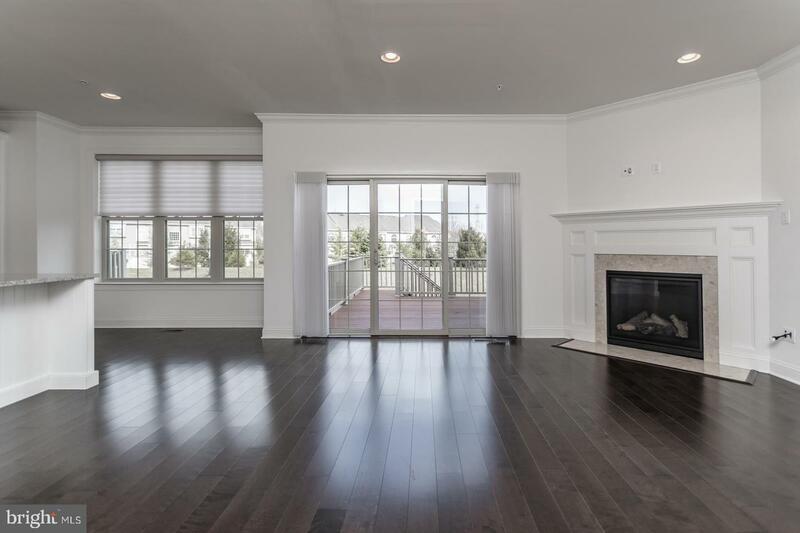 The open design makes this main level perfect for entertaining, as the dining room leads into the Gathering Room, which is complete with a gas fireplace, and opens to a composite, maintenance-free deck. 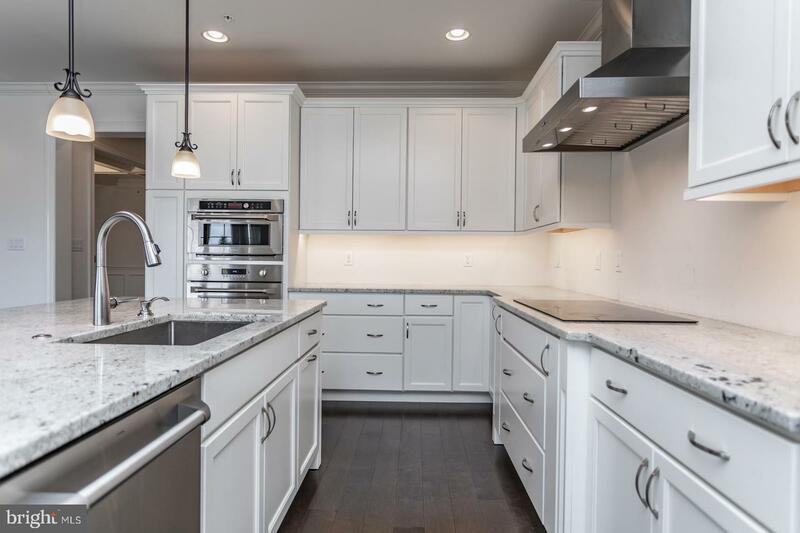 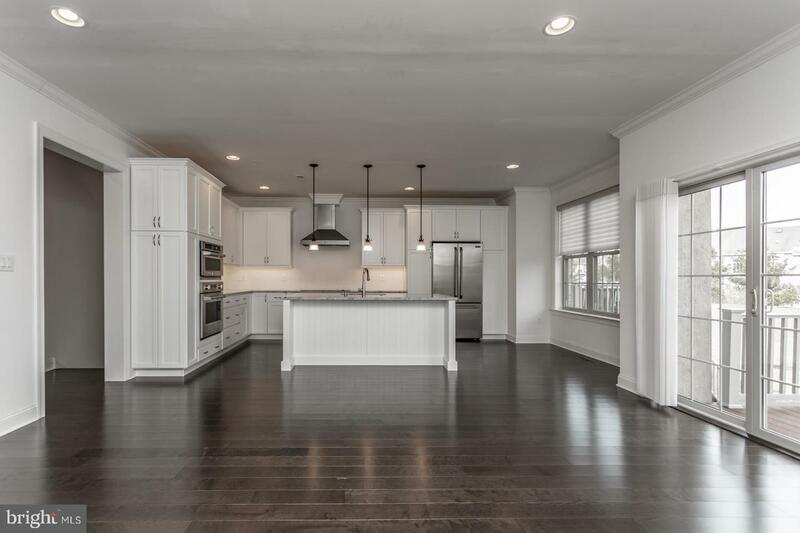 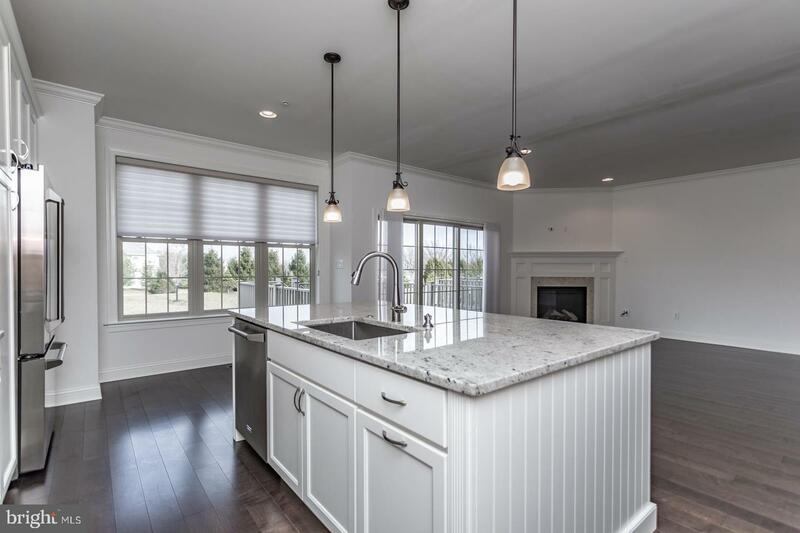 Boasting a large center island with granite countertops and additional seating, GE Monogram stainless steel appliances including convection oven, and an induction electric cooktop, the kitchen sits directly adjacent to the gathering room and features all the modern trends. 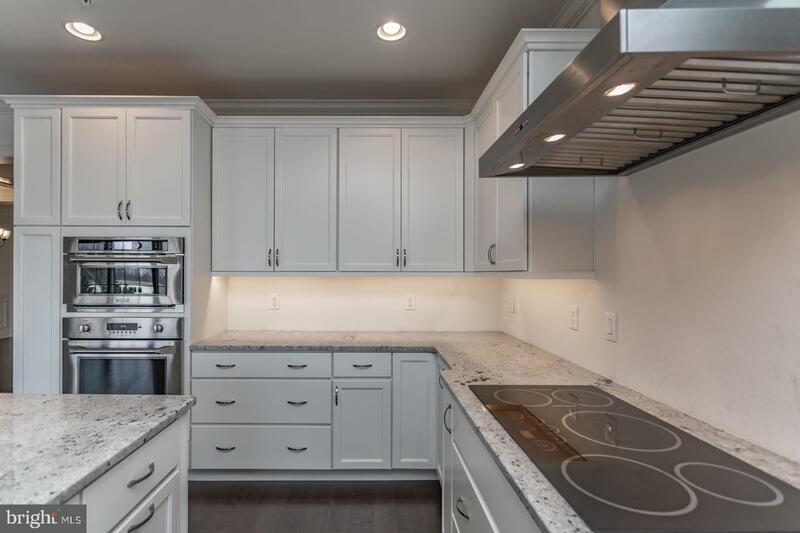 The kitchen is also equipped with a free standing range hood and has plenty of cabinets for storage. 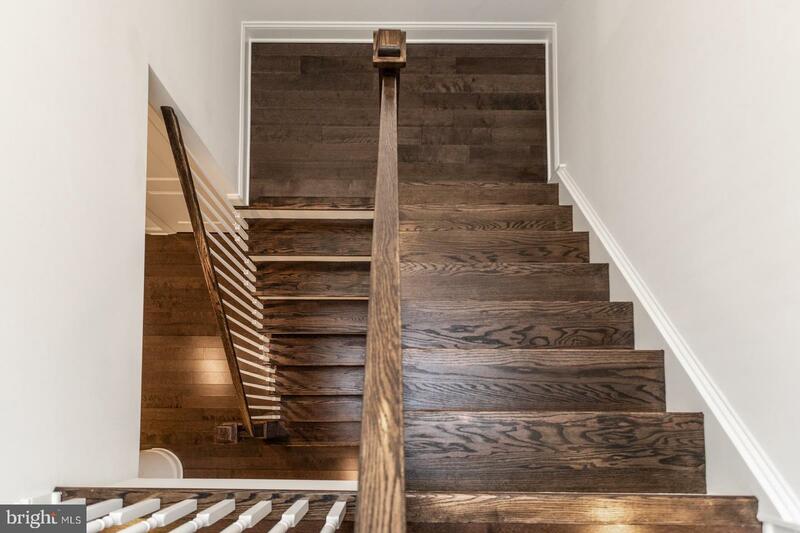 Walking up the wide staircase, one will find the spacious master bedroom. 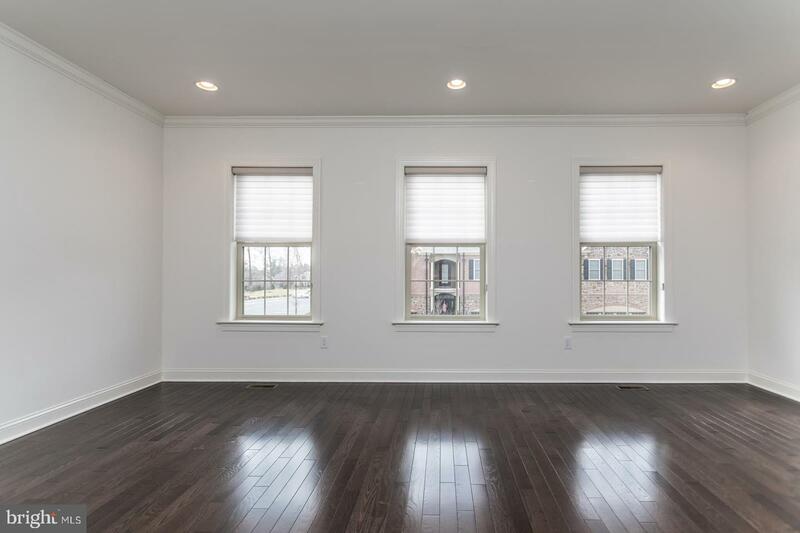 In addition to a sitting area that opens to a quaint veranda, this room has three large windows and recessed lighting, making the space incredibly bright. 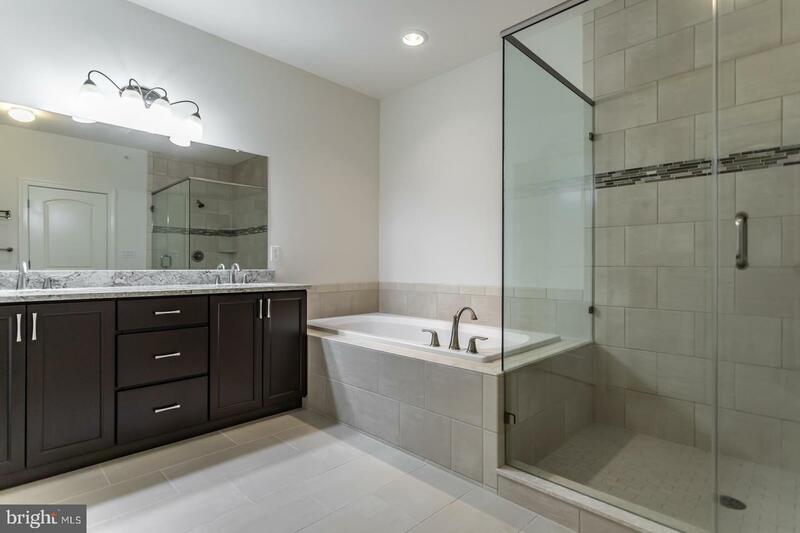 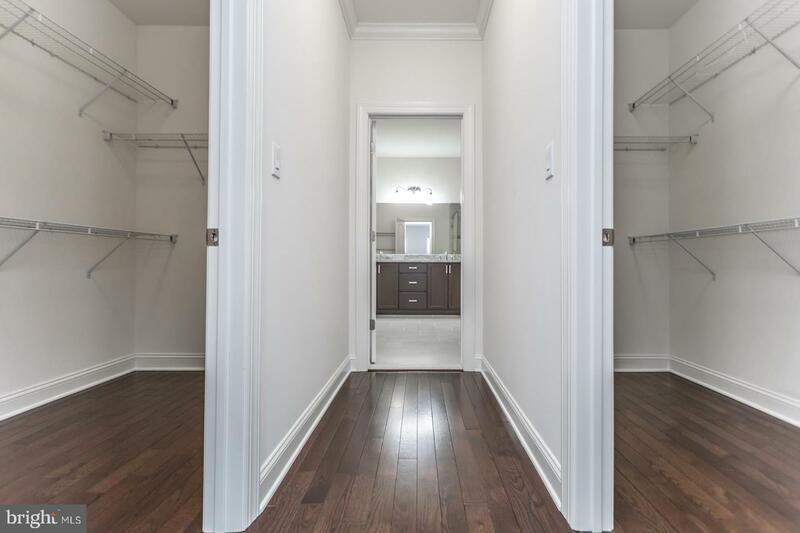 The master bedroom also includes two walk-in closets, and the master bath contains dual vanities with granite countertops, espresso wood cabinets, a soaking tub, and an oversized frameless shower. 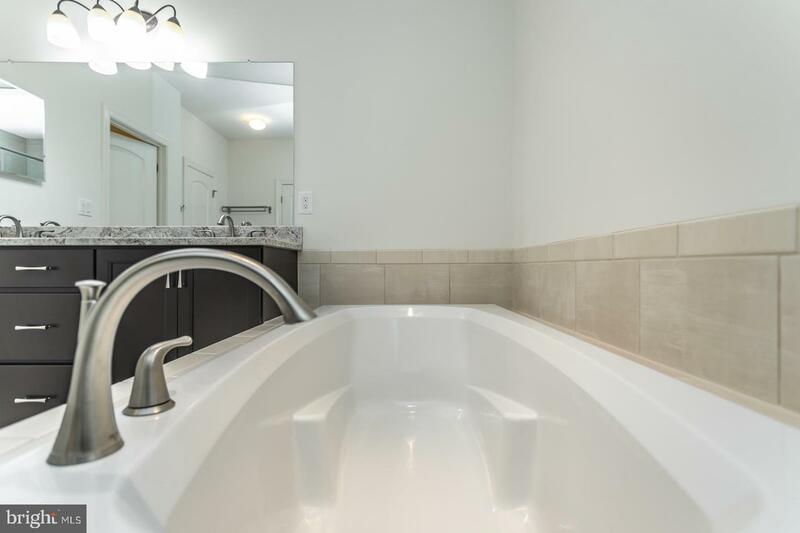 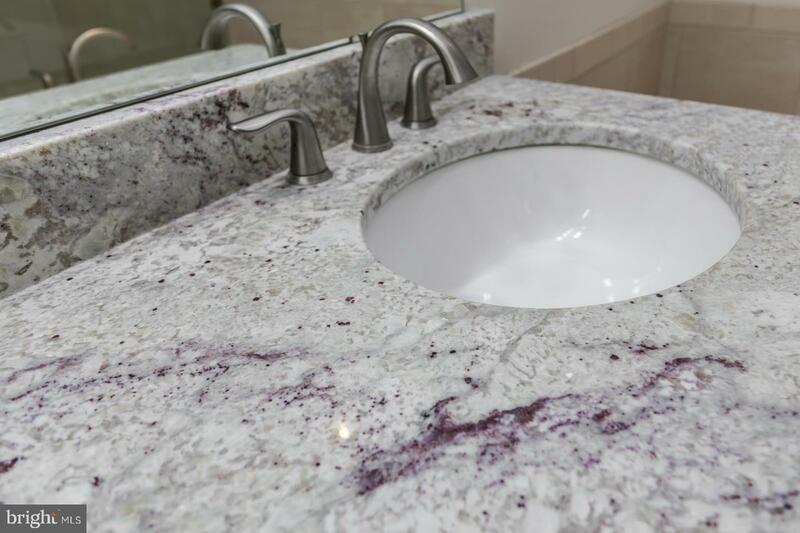 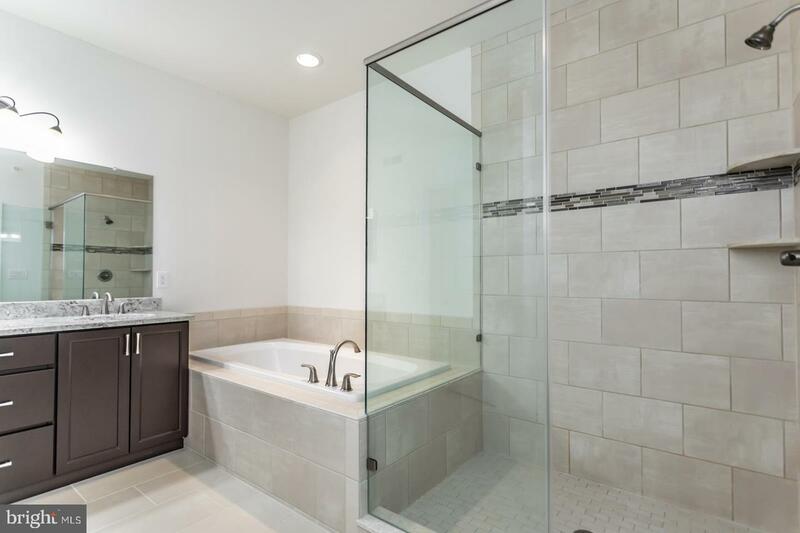 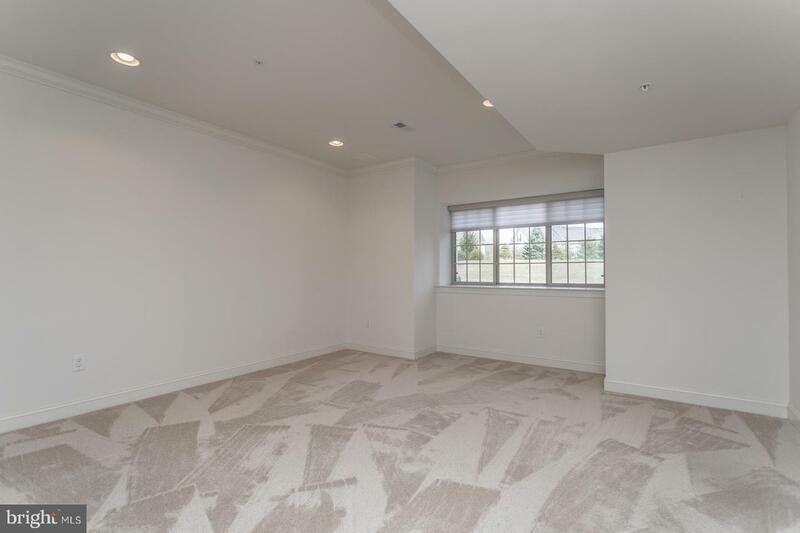 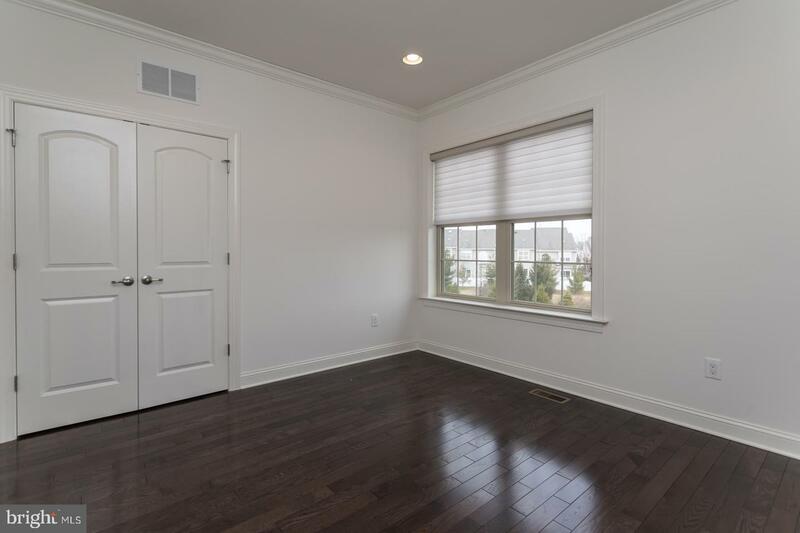 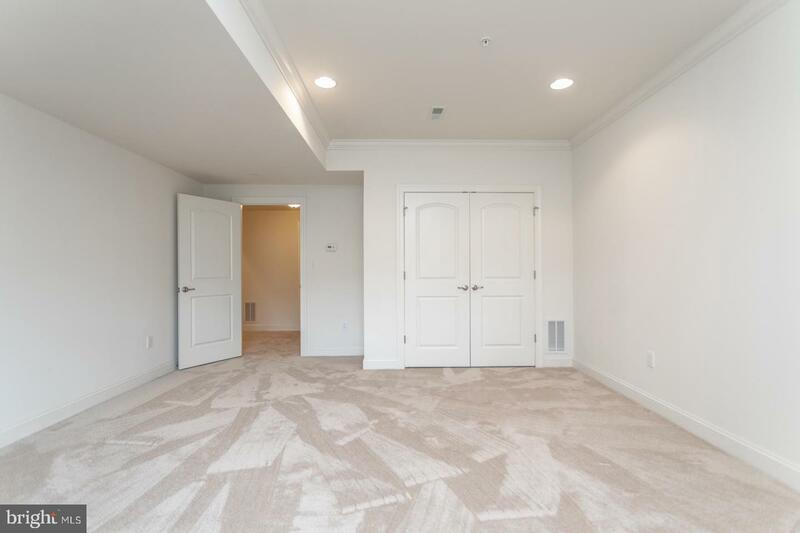 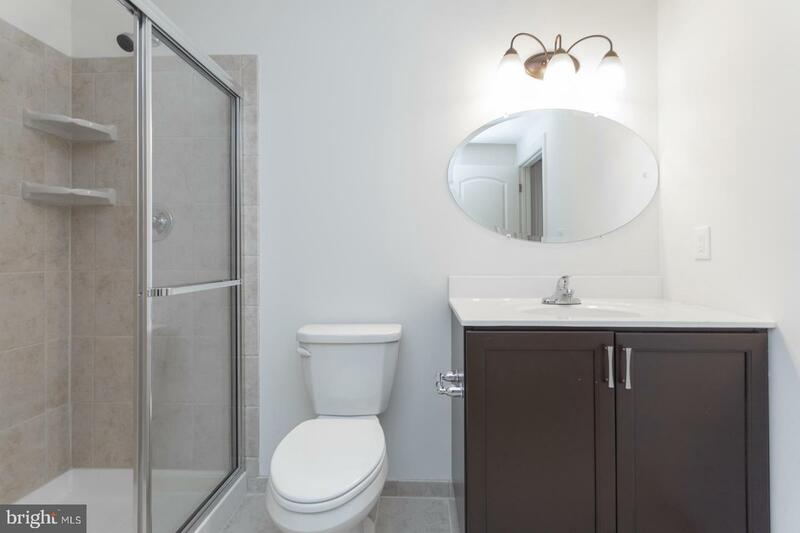 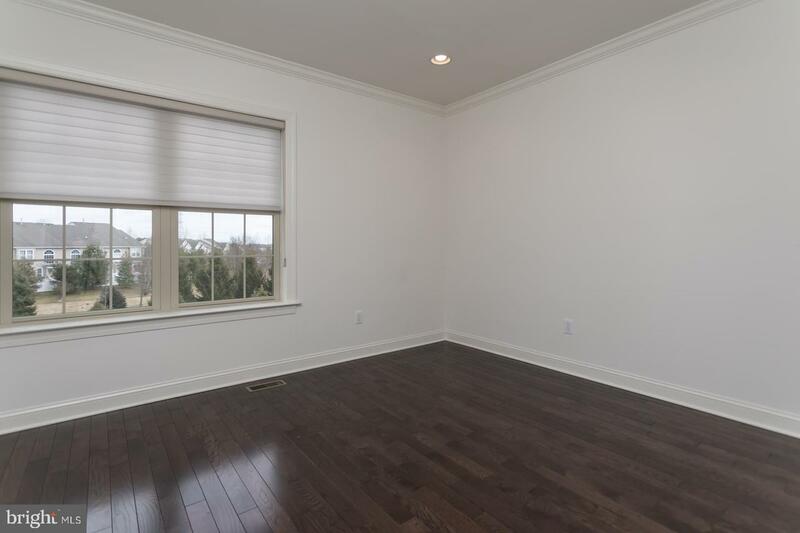 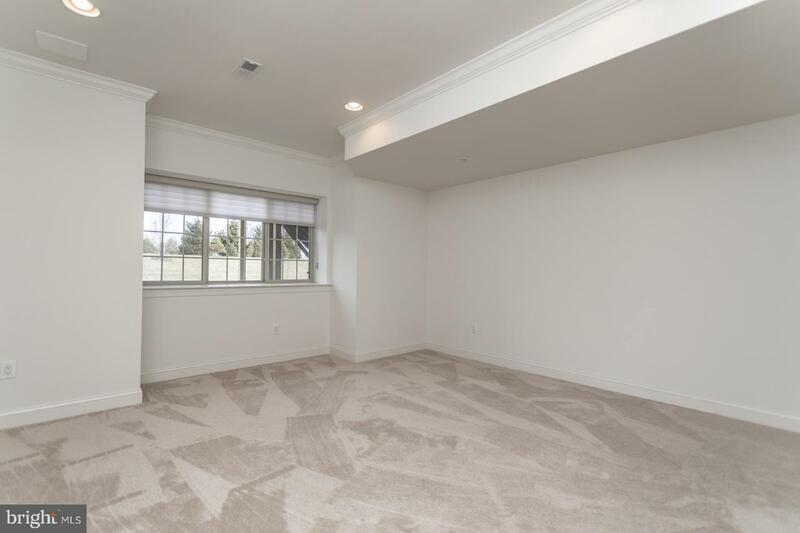 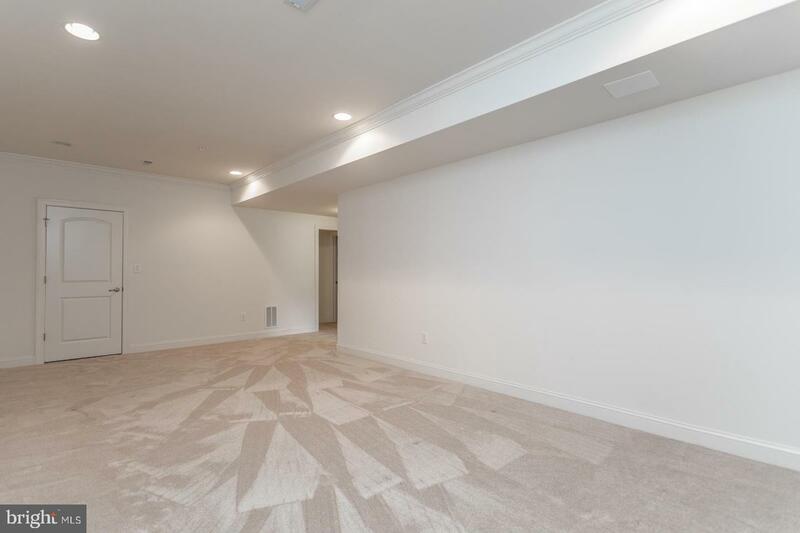 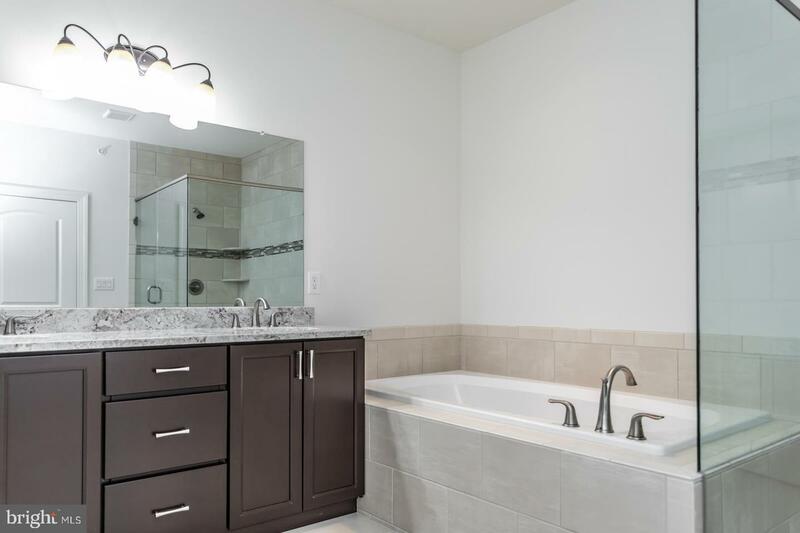 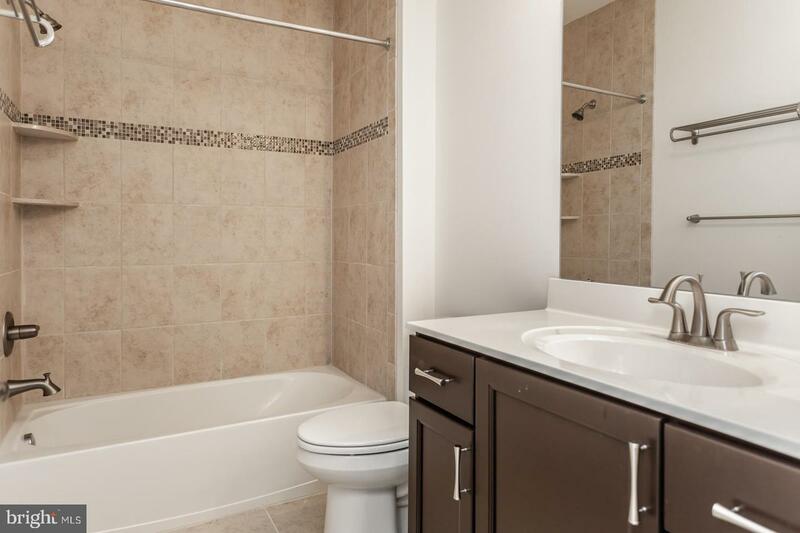 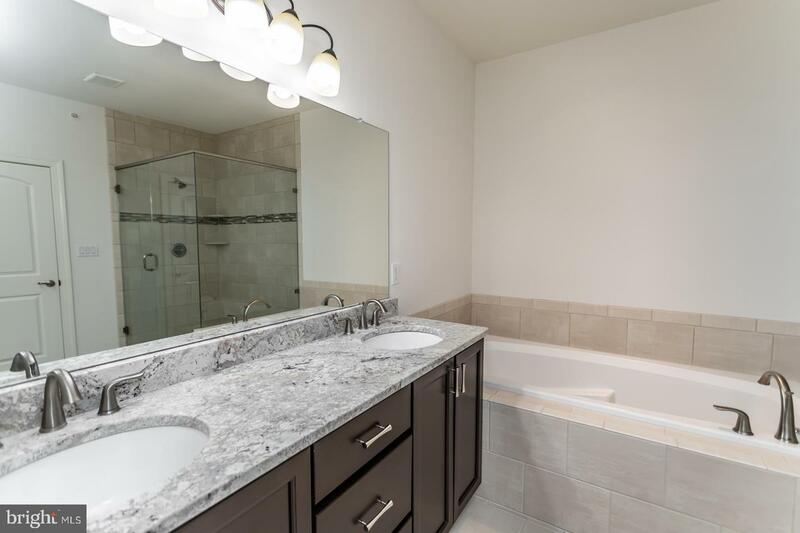 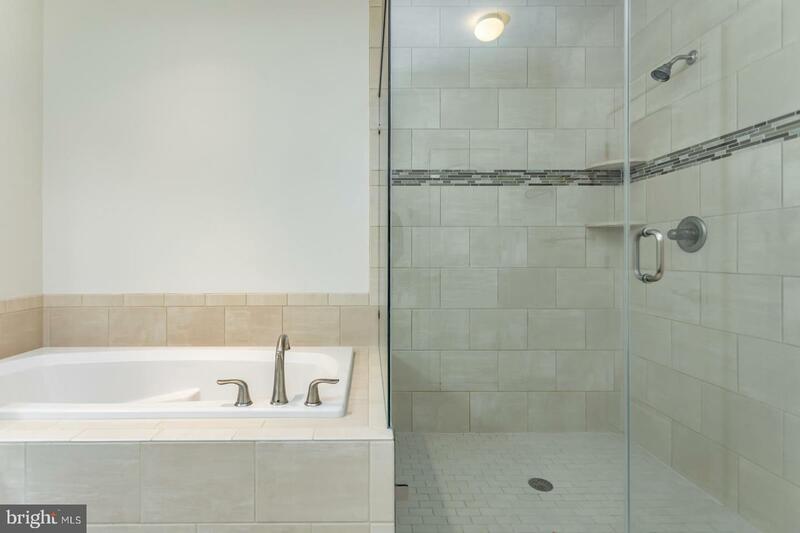 The first additional bedroom on the upper level has a connecting full bath, while the second additional bedroom has full hall bath access, and each is fresh, neutral and detailed with custom crown molding. 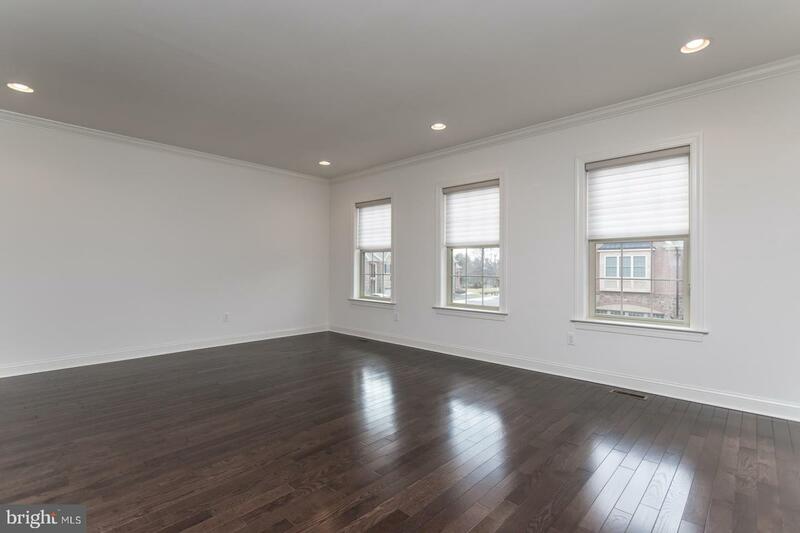 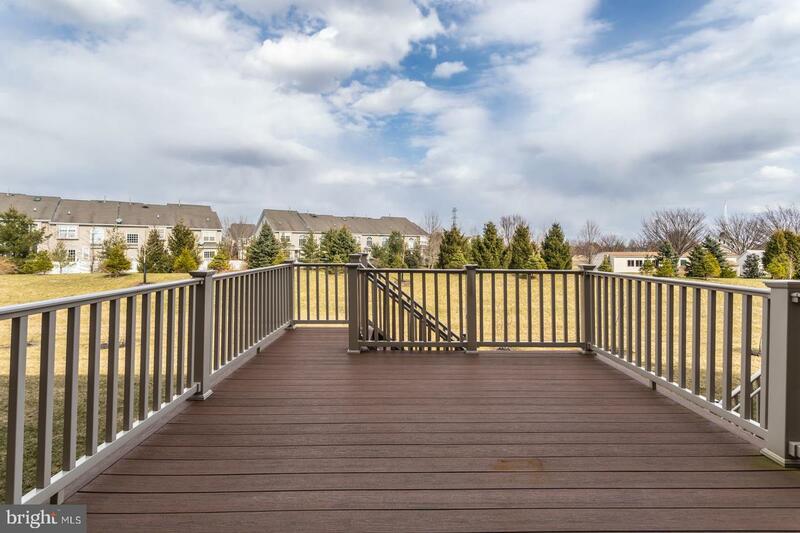 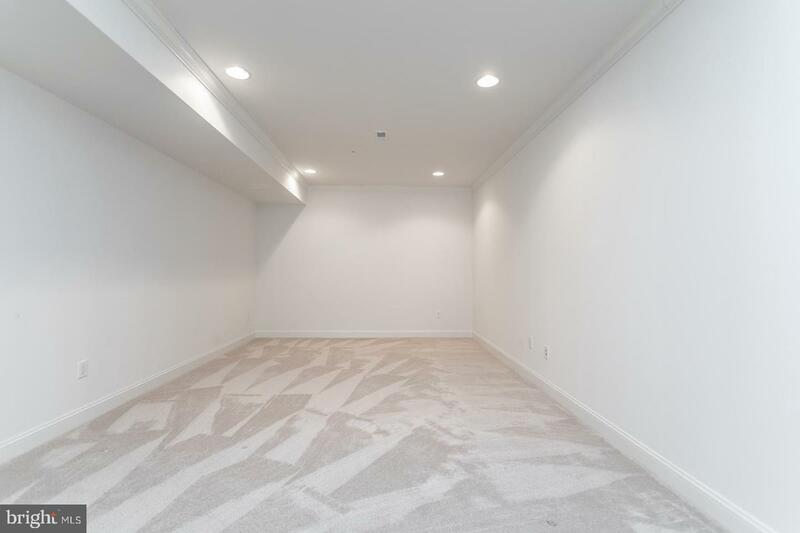 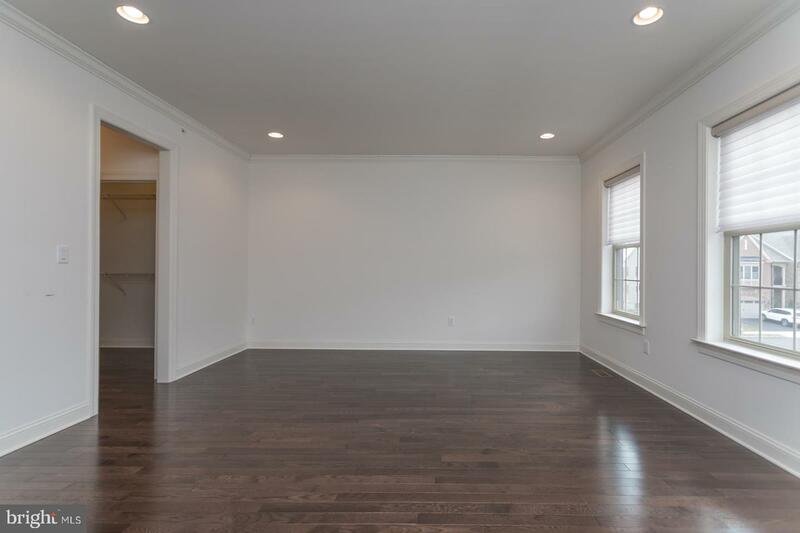 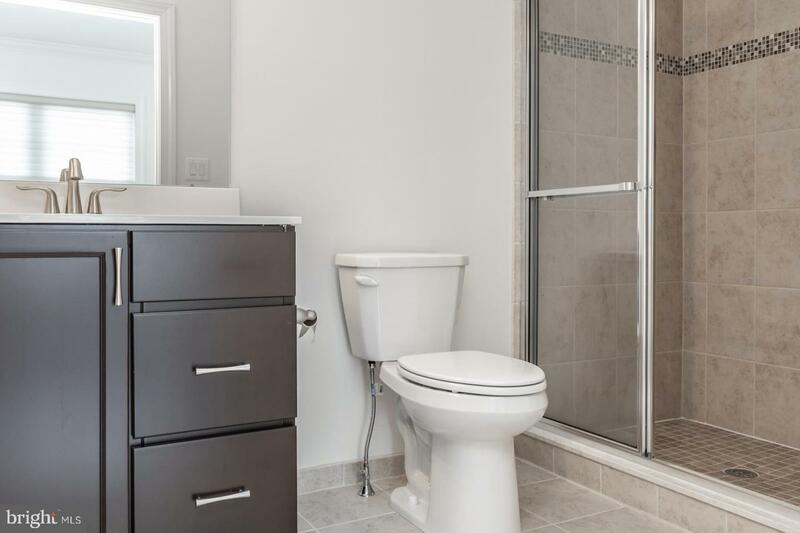 The fully finished Lower Level is open, with a 4th bedroom complete with a closet and window, a full bath, a large recreation room, and plenty of storage. 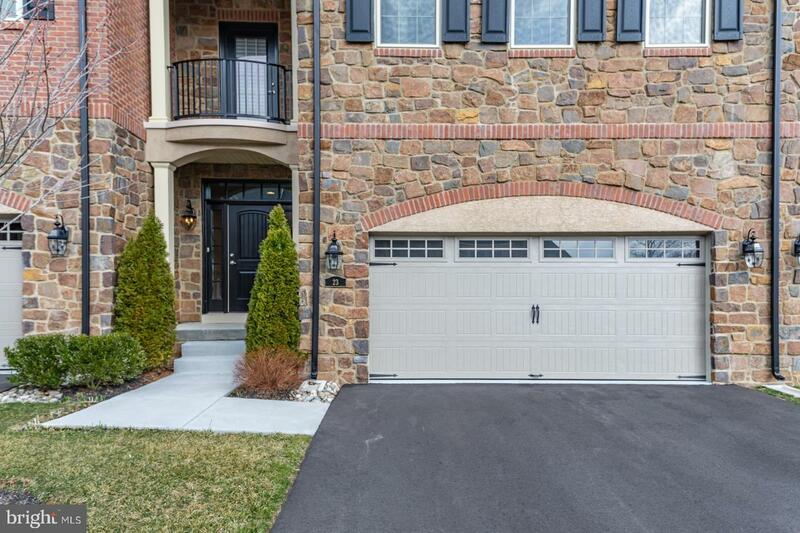 A two-car garage is easily accessed from the home, allowing for even more space and storage. 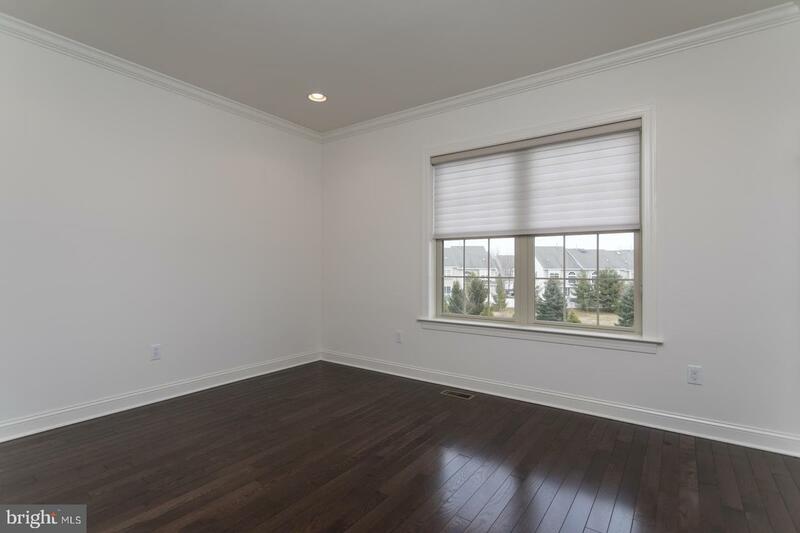 Clean, spacious and bright this home will not disappoint. 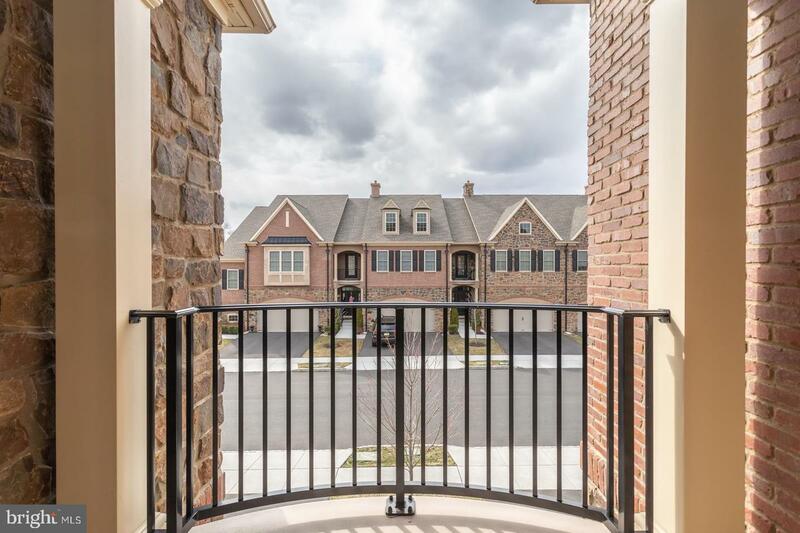 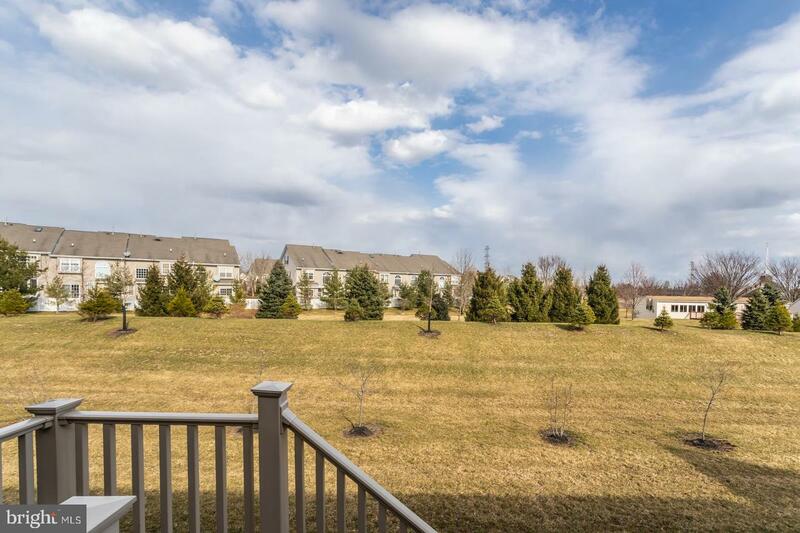 Within close proximity to all of the shopping and restaurants of Newtown and easy access to major roadways for commuting, enjoy all of the benefits of a newer home without the wait.